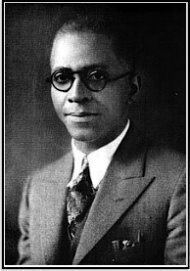 Brother (Dr.) Ernest E. Just was a college professor selected by Brothers Coleman, Cooper and Love to assist with the founding and establishment of Omega at Howard University in 1911. Bro. Just was born in Charleston, South Carolina and graduated from the Industrial School of the State College in Orangeburg. This school is now known as South Carolina State University. Bro. Just went on to study at Kimball Union Academy in Meriden, New Hampshire. He received a Bachelor of Arts degree from Dartmouth College where he was honored by being selected as Phi Beta Kappa for his outstanding academic performance as an undergraduate. Bro. Just received his Doctor of Philosophy Degree from the University of Chicago and was the recipient of the coveted Spingarn Award for his works. Bro. Just was honored as the 19th person selected to grace the U.S. Postal Service’s Black Heritage Stamp collection. Bro. Just died in 1941. For more information about Dr. Just click here. Brother Edgar A. Love was born in Harrisburg, Virginia. He graduated from Morgan College and went on to receive a Bachelor of Arts degree from Howard University in 1913. Bro. Love’s interest in the divinity garnered him a Bachelor of Divinity degree from Howard in 1916 as ell. He studied theology at Boston University and received a Bachelor of Sacred Theology degree in 1918. Because of his lifelong service to God and mankind he was awarded an honorary Doctor of Divinity degree from Morgan College. Bro. Love served as a US Army Chaplain in World War I and went on to serve a lifetime of dedicated service as a Bishop in the Methodist Church. Brother Bishop Love was the last of the Founders to enter Omega Chapter. 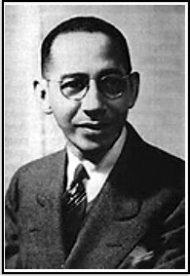 Brother (Dr.) Oscar J. Cooper like a few of his friends was born in Washington DC and graduated from the M Street High School. He went on to matriculate at the prestigious Howard University where he studied to become a doctor because he insisted on serving mankind. Bro. Cooper received his doctor of Medicine degree from the Howard University Medical School in 1917. He practiced medicine for 50 years in the city of Philadelphia, Pennsylvania. His contributions and awards in the field of medicine were many. He went on like his friends to serve Omega until his dying day in 1972. Brother Frank Coleman an undergraduate and best friend of Edgar A. Love and Oscar J. Cooper was born in Washington DC. He matriculated through the Washington DC segregated school system and graduated from M Street High School. He obtained a Bachelor of Science degree from Howard University in 1913 and a Master of Science degree from the University of Chicago. Bro. 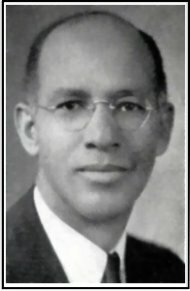 Frank Coleman went on to pursue further study at the University of Pennsylvania and was a professor and head of the Physics Department of Howard University in Washington DC. Bro. Coleman also served as one of the few black Army officers in World War I. Brother Coleman passed in 1967.